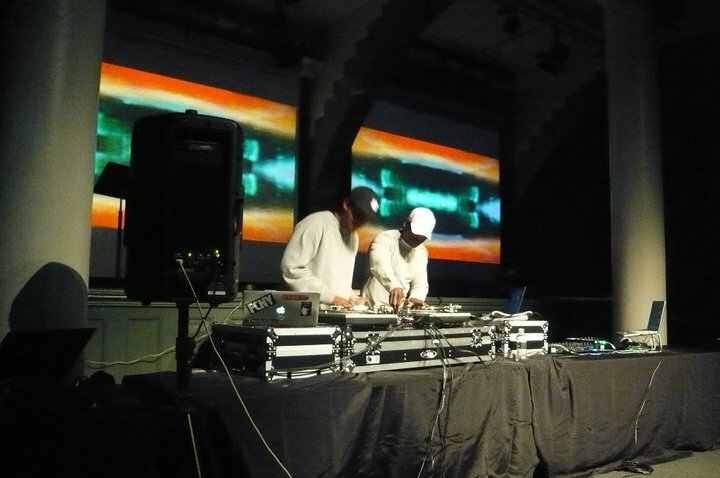 Life in:formation was co-chaired by Associate Professor Adjunct Pablo Lorenzo-Eiroa, of The Cooper Union, in conjunction with Assistant Professor Aaron Sprecher of McGill University and Assistant Professor Shai Yeshayahu of Southern Illinois University. 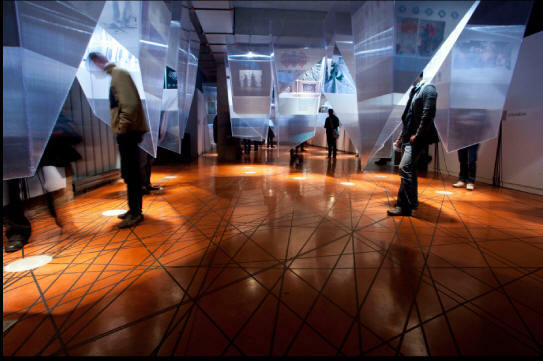 This conference also involved an exhibition of work curated by the Exhibiton Chairs of ACADIA 2010: Chandler Ahrens of Morphosis, Axel Schmitzberger Assistant Professor at California State Polytechnic University, Pomona and Michael Wen Sen Su Visiting Assistant Professor at Pratt Institute. 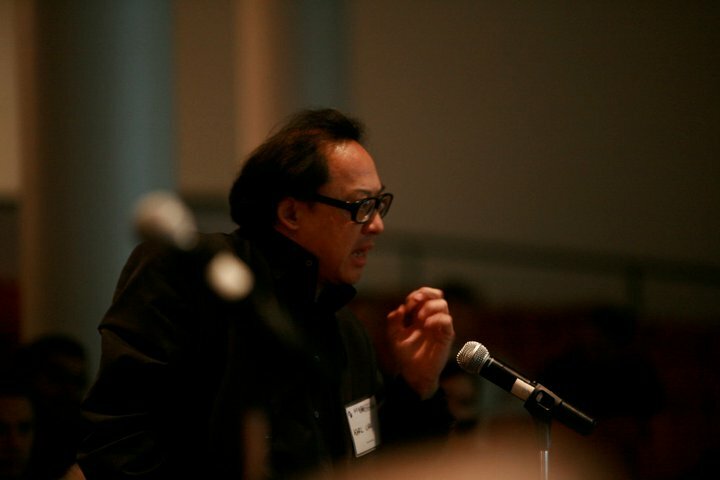 The conference offered a space for the discussion of the problems involved in the way architects, engineers and artists collect, analyze, assemble, represent and implement information. 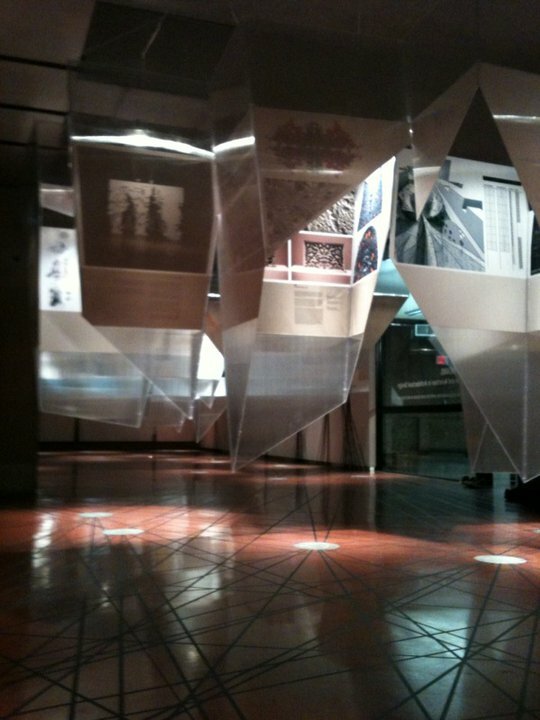 There is a growing interest in questioning the architecture implicit to the conformation of information. The architecture of information implies a critical intermediary abstract space relative to processing that has been producing a shift in the core of the discipline. These questions imply an overall ideological ambition of the conference. 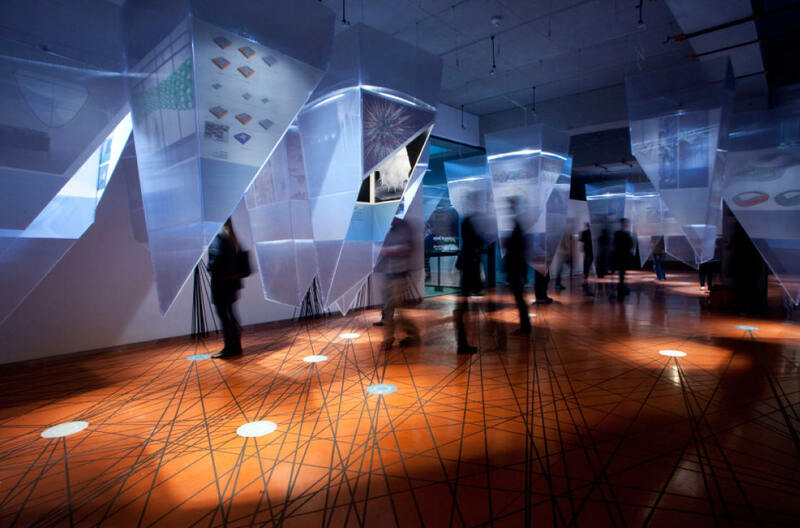 There is indeed a trajectory that intends to build up a critical alternative axis to the way digital information systems have been understood in architecture since 1990s, primarily based on a visual logic. Media has repressed digital architecture to a mere representational role, negating the potential relational logic of systems, a formal aesthetic fundament based on the structuring of mental relationships. It is becoming quite clear that if architects do not break or displace the given source codes of algorithms and create their own, their work is trapped by the predetermination of the set of ideas contained within those programs. What this concept questions is authorship, the necessity to displace and create structures that organize and process information; and the extent of an autonomy within the constitution of the logic of formal processes. This understanding is based on an ambition that may help a historical venture. Ultimately architecture may inform and be relevant to technology, as opposed to architecture being relative to technological actualization. But why information at Cooper? The growing array of interfaces that striate digital architecture are layers where information is represented, crossed, manipulated and ultimately presented. If interfaces are spaces of representation, they are spaces of differentiation, and since there is no information without representation, these spaces activate a generative capacity, as architectural content is constituted in a responsive topological loop between form and content. The interface is the context within which the work is made possible, implying a topological relationship between the apparently formless flow of data that is seen extrinsic to form, structure, the interfaces involved and how information is constituted. It seemed appropriate to question these problems to a school where the deep understanding of representation has activated different levels of self referential disciplinary thinking that propelled different structuralist and poststructuralist approaches. 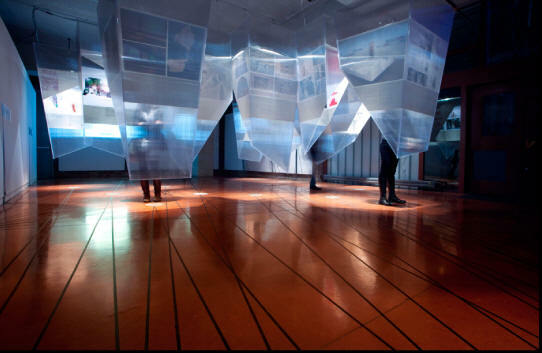 Such strategies enable a responsive generative capacity in interfaces where architectural problems are activated by the questioning of the frame through which they are constituted. Architecture is then possible at that moment, when the interface performs within the work, establishing an autonomy, a reality, and a metaphysics only possible within the discipline. An autonomy that has not yet entered the digital�. These premises were integrated through the curatorial work of the conference chairs, but were also challenged and expanded by the work and discussion of the many participants of such a complex international event. In order to draw certain interest towards to the immense body of work left in the publications, it is interesting to note certain themes that were able to grant certain strategies and attention against the linear use of information. 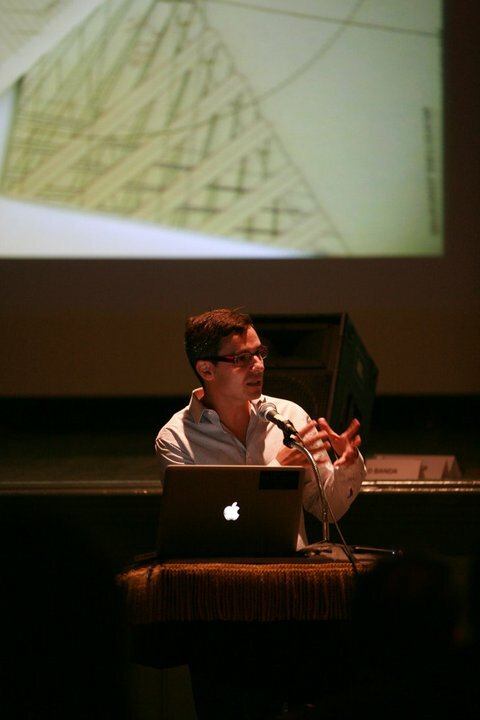 The keynote lecturers included both theoreticians, historians and experimental practitioners, such as: Georges Teyssot derived from a foucaultian background the problem of curvature through a philosophical approach, critiquing linear information representation relative to the topological relationship intrinsic in Sausure�s algorithm Sign=S/s; Antoine Picon provided a critical historical reference to the digital project pointing the work of experimental practitioners; Karl Chu built up a genetic based morphogenesis based on cross relationships between the brain and organisms in an architecture autonomy implicit to computation in his Planet Automata series; Evan Douglis constructed morphing patterns that incorporate evolutionary movement; and Georges Legendre introduced a mathematical specificity from binary codes that layer information. 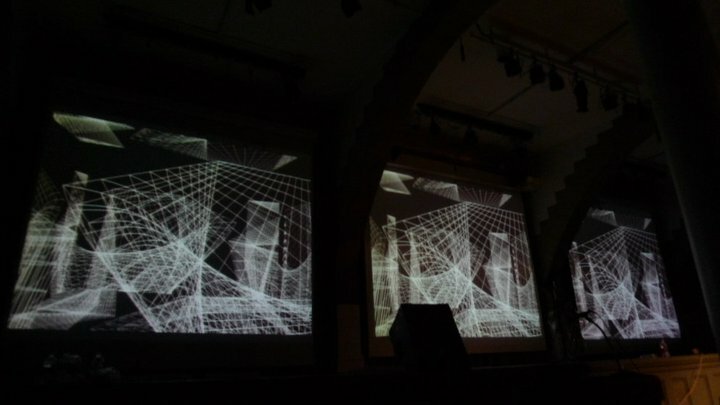 The work in progress sessions and the peer review papers developed questions of structuring of information included Antonino Saggio who defined the principles of information; Alexis Meier contrasted the logos of architecture to mathematics through structuralism; Ingeborg Rocker analyzed interfaces between analog and digital systems; Andrew Saunders proposed mathematical parametric reinterpretations of the Baroque; Chris Perry presented an anticipatory architecture of extrapolative design; and Christian Derix discussed interactive problem solving in spatial organization as a means for an autonomy. 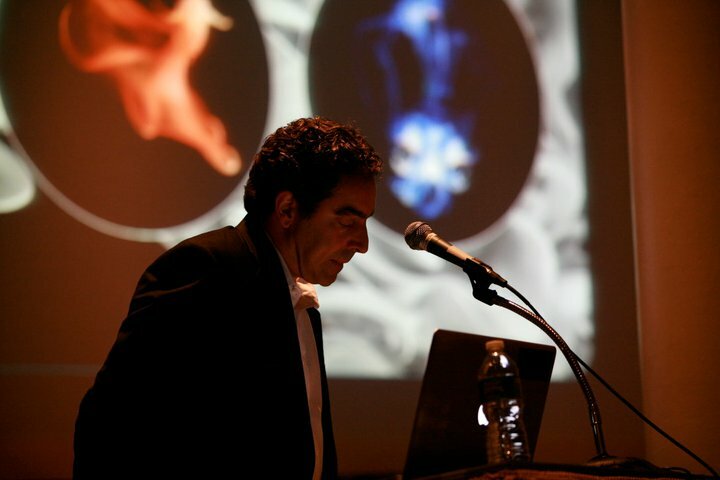 In regards to the embodiment of information, Antonino Di Taimo presented the body as an information cognitive living system; David Gersten analyzed current mathematical geographies with regards to Capital and technology; Martin Bressani constructed a digital theory of affect; and Alessandra Ponte warned about a turn to phenomenology in current digital discourse. 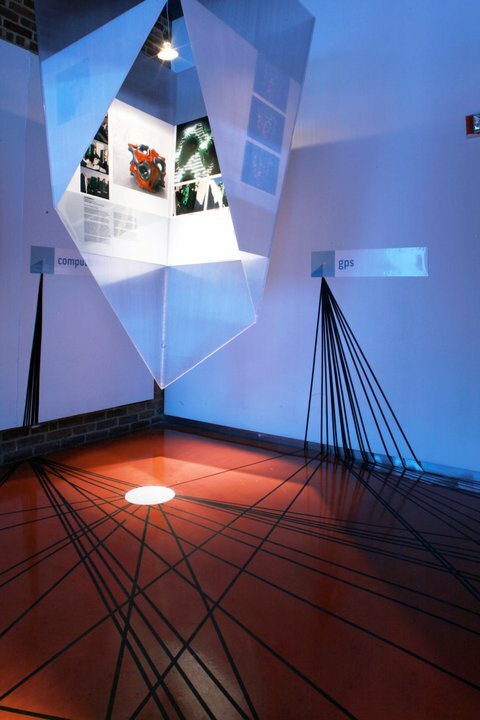 Interestingly, on the opposite end and departing from technically oriented design innovations aiming for larger theoretical concerns, Jesse Reiser explained the transition from material logics to vectorial forces; Nader Tehrani�s presented his installations exploring forces by crossing information and material behavior; Scott Marble proposed an alternative design assembly that understands the intrinsic socio-economic factors that enter manufacturing; Matias del Campo developed modes of material information aggregation resisting continuity; Rhett Russo provided a technical bottom up means to deal with computation and aesthetics; David Ruy proposed a means to reach visual affection through information structures in a continuously differentiated scale; and finally Achim Menges described materials� molecular behavior as a contraception in terms of their apparent logic. These discussions were moderated by the Chairs in conjunction with Emily Abruzzo, Mario Carpo, Alberto Estevez, Eva Franch Gilabert, Eric Goldemberg, James Lowder, Jenny Sabin, Mohamed Sharif and Michael Young, opening up the discussion between participants and building up content with the help of the attentive an enthusiastic public. The workshop sessions made available to the conference participants unique opportunities to experiment with groundbreaking research. The conference aim was also to question directions and push the boundaries of software developer�s efforts. Workshop sessions included small, medium and large software developers: from small innovative software developers such as Hans-Christoph Steiner or Mustafa Bagdatli implementing sensors and interaction in physical computation through Arduino and Firmata at NYU ITP directed by Dan O�Sullivan; to large software companies that develop information parametric relationships to coordinate large flows of data in building construction that are also tested in environment simulation, using Autodesk (Marc Jezyk) and Bentley (Rob Snyder); these companies develop platforms that enable some of the work at large offices such as SOM (Robert Yori); other workshops included the aesthetically sophisticated interfaces developed for fabrication coordination by Gehry Technologies (James Kotronis); and finally these workshops also included experimentation with open source infrastructure developed by Rhinoceros that has been growing progressively due to the platform ability to ensemble multiple interfaces such as RhinoScript, Grasshopper, Python, and others. These workshops were organized and curated by the Conference Chairs to provided unique technical expertise and give ground and focus to the larger theoretical aspirations of the conference. These presentations were followed by a round table discussion at The Great Hall moderated by the Conference Chairs with Paul Seletsky. 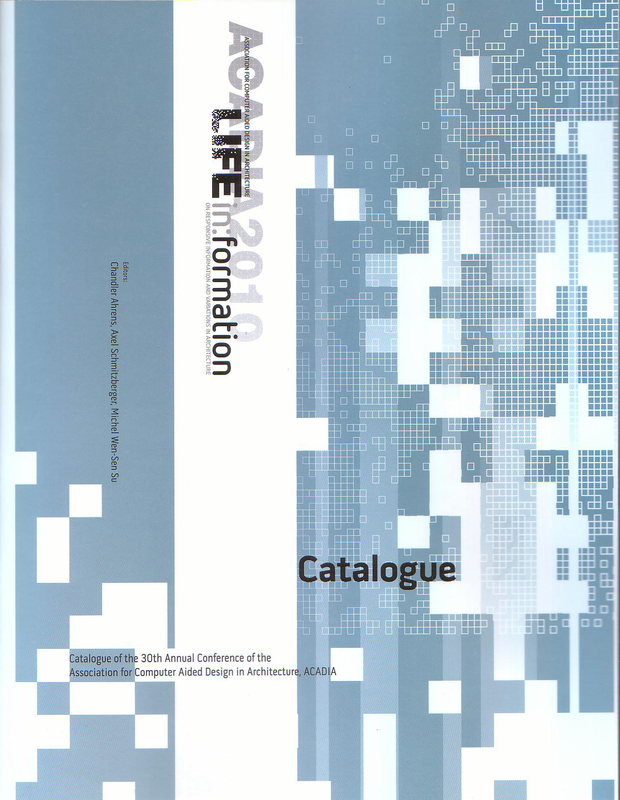 Overall, Life in:formation featured an impressive number of academic and experimental activities including: 10 groundbreaking 3 day long international workshops featured in 18 presentations and a round table discussion; 5 keynote lectures; 14 guest speakers sharing their work in progress; 36 peer reviewed paper presentations divided into three sessions selected by a 120 international expert peer reviewing committee; and included 16 moderated round table discussions. 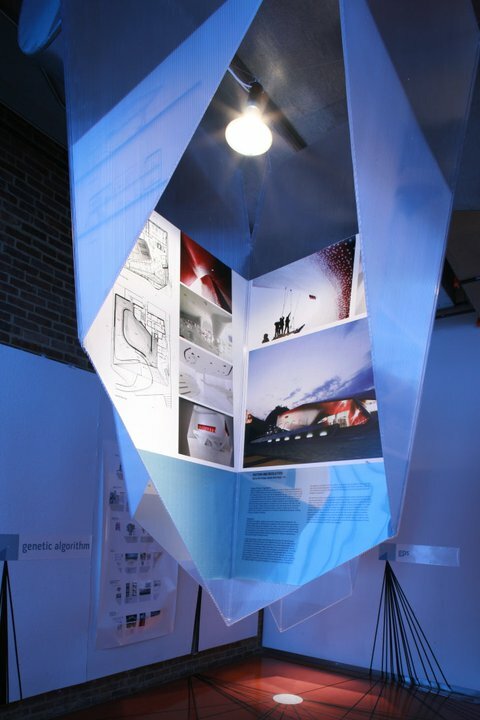 The exhibition of work curated by the Exhibiton Chairs of ACADIA 2010 was composed of 15 peer reviewed projects and 12 curated research projects exhibited and were featured within a site specific installation based on a crowdsourcing system that informed relationships among projects. 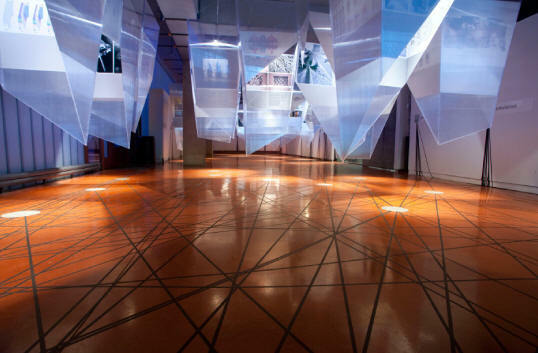 This installation was developed at a satellite venue at the Siegel Gallery at The School of Architecture at Pratt Institute in Brooklyn, and both its content as well as its form were discussed in a round table moderated by the Exhibition Chairs. 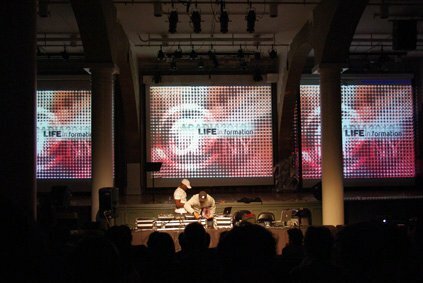 The closing of such event accumulated into a vibrant night performance session: ACADI@NY, a digital energetic spatial affection of The Great Hall moderated by Meredith Bostwick transforming such historic space to the rhythm of many avant-garde media artists, highlighting the spatial vibe that DJ Rob Swift performed; the media visualization collaboration between visual artists Chika Iijima and Peter Kirn; the analog-digital sounds of Laura Escude and the complex software for music production exhibited by DJ Endo; all of which framed the work of 20 selected students projects representing the work of Architecture Schools from the Tri-State Region. 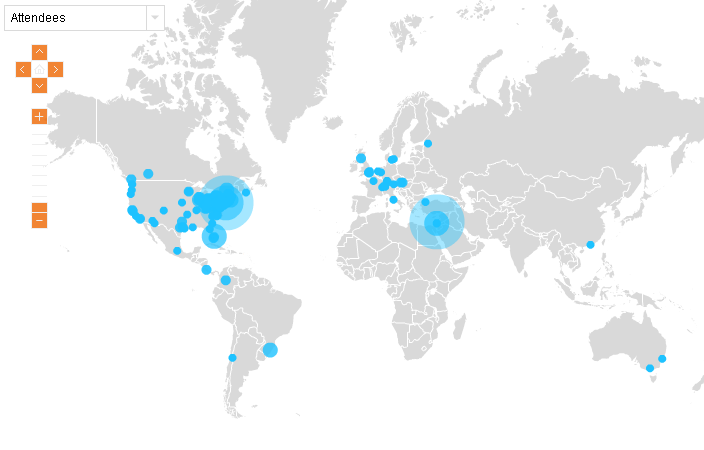 Overall the conference had over 600 attendees from over more than 25 countries around the globe that completed this truly international event collaborating with important discussions that made this venue one of the most relevant academic events of 2010. Report prepared for The Cooper Union Annual Publication by Pablo Lorenzo-Eiroa. 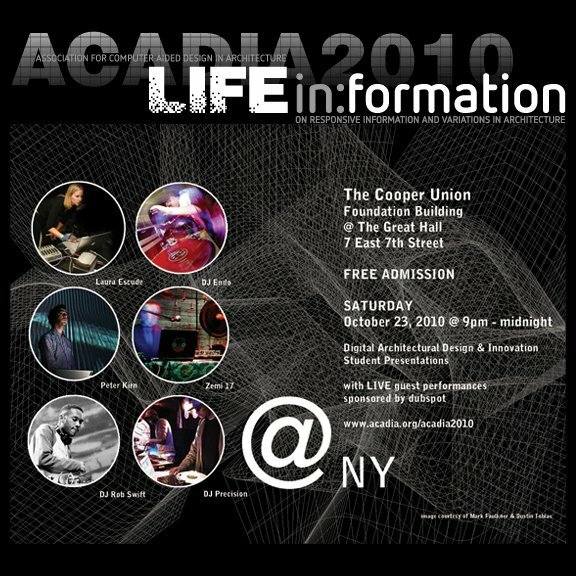 The ACADIA 2010 conference focused on the changing nature of information and its impact on architectural education, research and practice. 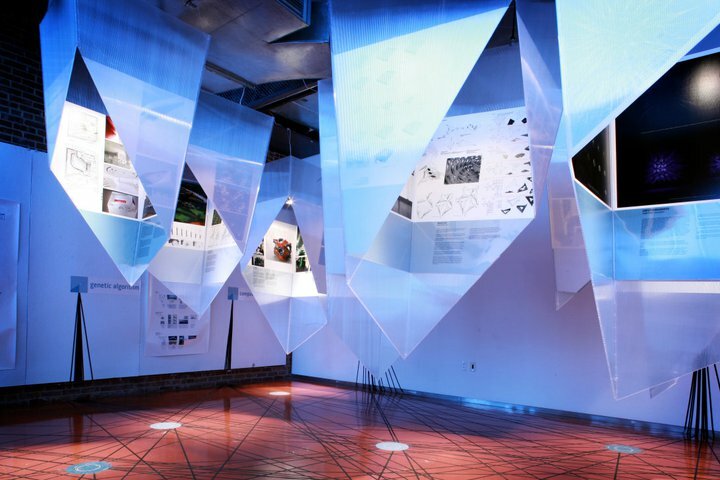 With the ever-increasing integration of information technologies in the design laboratory, the discipline of architecture has changed profoundly in recent years. The emerging fields of digital fabrication, generative and evolutionary modeling among others, are now at the core of investigations in a growing community of digital design practitioners and researchers. 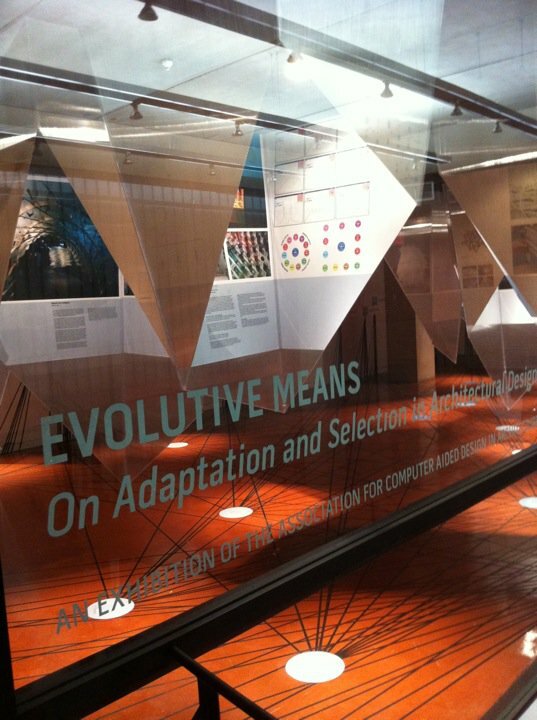 ACADIA 2010 will explore the ways designers, architects, engineers and scientists collect, analyze and assemble information through computational systems that redefine the notions of design performance and optimization, evolutionary and responsive models. These notions are today inherently related to the possibilities and limitations offered by our increasing computational capabilities, and the way information shapes relations between the human, the environment, and the machine. 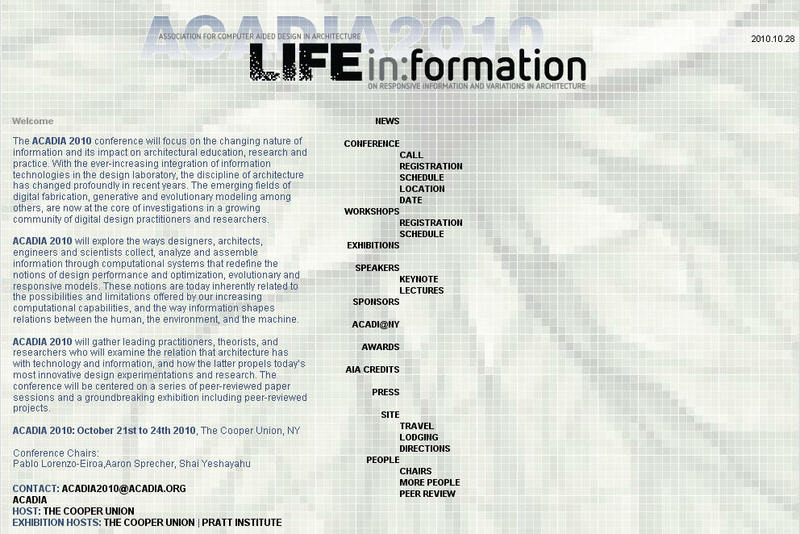 ACADIA 2010 will gather leading practitioners, theorists, and researchers who will examine the relation that architecture has with technology and information, and how the latter propels today�s most innovative design experimentations and research. The conference will be centered on a series of peer-reviewed paper sessions and a groundbreaking exhibition including peer-reviewed projects. CONFERENCE CHAIRS: Pablo Lorenzo-Eiroa, Aaron Sprecher, Shai Yeshayahu. EXHIBITION CHAIRS: Chandler Ahrens, Axel Schmitzberger, Michael Wen-Sen Su. KEYNOTE LECTURERS: Karl Chu Karl Chu, Evan Douglis, George Legendre george legendre, Antoine Picon, Georges Teyssot. INVITED PANELISTS: Martin Bressani, Christian Derix, Alberto T.Est�vez, David Gersten, Mark Linder, Scott Marble, Alexis Meier, Alessandra Ponte, Ingeborg Rocker, Jenny Sabin, Antonino Saggio, Mohamed Sharif, Nader Tehrani, David Theodore. PEER REVIEW LECTURERS: Jonathon Anderson, Paul Andersen, Stefan Bader, Pablo Banda, Michael Beaman, Pravin Bhiwapurkar, Lawrence Blough, Johannes Braumann, Danelle Briscoe, Mark Cabrinha, Kermin Chok, Mark J. Clayton, Sigrid Brell-Cokcan, Scott Crawford, Joanna Crotch, Karola Dierichs, Mark Donofrio, Christina Doumpioti, Anna Dyson, Halil I. Erhan, Simon Flory, Isak Worre Foged, Virginia San Fratello, Jordon Geiger, Benjamin Golder, Evan Greenberg, Eric Hegre, Silvana Herrera, Martyn Horner, Tim Ireland, Tomasz Jaskiewicz, Przemyslaw Jaworski, Sara Jensen, Hauke Jungjohann, Konstantinos Karatzas, Jong Bum Kim, David Lung, Robert Mantho, Carlos L.Marcos, Anijo Mathew, Achim Menges, Nathan Miller, Nicholas de Monchaux, Volker Mueller, Hugo Mulder, Jacob Riiber Nielsen, Anke Pasold, Shivang Patwa, Chris Perry, Esben Skouboe Poulsen, Helmut Pottmann, Antonino di Raimo, Vinu Subashini Rajus, Bernhard E. Riecke, Rhett Russo, Flora Dilys Salim, David Salomon, Heinz Schmiedhofer, Kyle Steinfeld, Martin Tamke, Ming Tang, Vlad Tenu, Shahin Vassigh, Jason Vollen, Jennifer Wall, Robert Woodbury. 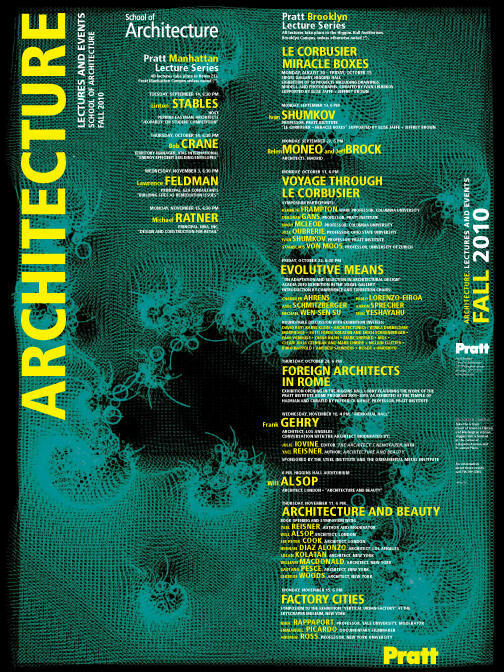 INVITED EXHIBITION: Archi-Tectonics, Buro Happold, Omar Khan, Morphosis, Clear + McLain Clutter, MOS, Reiser+Umemoto, Ruy/Klein, Andrew Saunders, su11, Mark Shepard, Paul Vanouse. ACADIA 2010 Site Coordinator: Zulaika Ayub, Veronica Barrow with assistance of Glen Barfield. 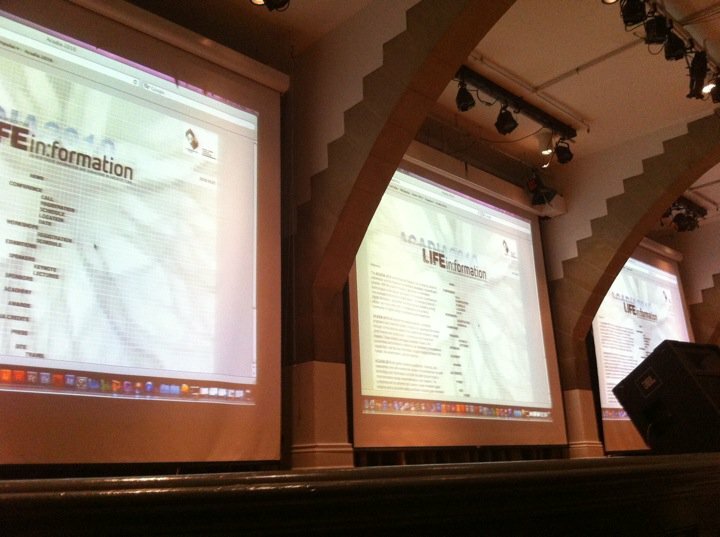 Inaugurated on the occasion of the conference ACADIA, 2010 LIFE in:formation hosted by The Cooper Union in New York City, the exhibition Evolutive Means hosted by Pratt Institute in Brooklyn examines concepts, tools and technologies that implement responsive and generative aspects of information in the design process. ACADI@NY Event provided a venue as a student forum exploring and communicating new student-driven innovation through processesing and digital architecture research. The Great Hall of Cooper Union will again provide an academic venue where historically, contemporary questions have been raised, debated, and challenged. 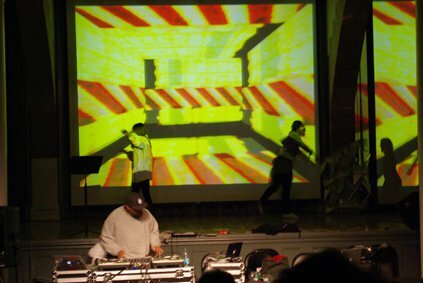 ACADI@NY Event selected 20 student submissions and invite those students, each in succession to another, to present a 4-minute-interval narrated synopsis of imagery and thought process towards innovative and avant garde digital strategies where software is challenged. ACADIA 2010 workshops explored the ways designers, architects, engineers and scientists collect, analyze, assemble and represent information through computational systems that redefine the notions of responsive spaces and design performance. 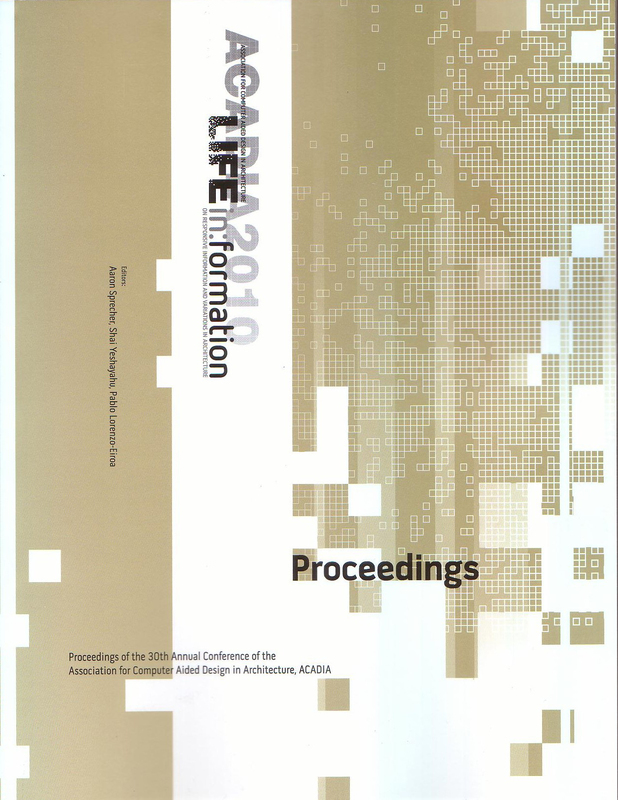 These notions are related to the possibilities and limitations offered by the increasing capabilities of digital interfaces, and the way the processing of information structures relationships between man, the computer and the environment. 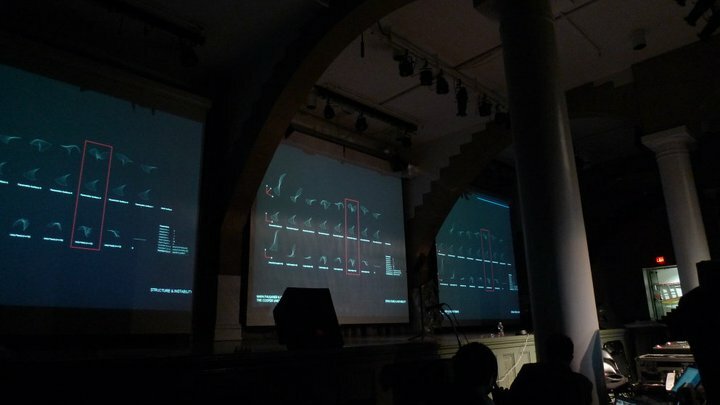 These series of presentations and workshops will be developed preliminary to the ACADIA 2010 Conference Life In:formation to be hosted at The School of Architecture of The Cooper Union in New York City on October 21-24th of 2010. The workshops will run from October 17th-20th of 2010. Many of these workshops will introduce abstract means to transfer information among multiple software, interfaces, plug-ins and applications but also present pedagogical strategies to work with diverse ideas of computation, its applications and the interfaces involved. ACADIA 2010 WORKSHOPS KEYNOTE SPEAKERS: As an introduction to the themes of the workshops the following speakers will present ideas, strategies and techniques and will also open up problems in a round table discussion that will be available to the public. The different questions that these researchers have been working and that are framed by the questions that the Conference develops and that deal with the abstract question of the transferring of information among software and interfaces in different applications, processes and fabrication and their conceptual implications will be presented in this workshop conference. 2011 June, At Cooper Publication, The Cooper Union for the Advancement of Science and Art. ACADIA Conference 2010 brief Hosted at The Cooper Union; Conference Co-Chairs: Pablo Lorenzo-Eiroa, Aaron Sprecher and Shai Yeshayahu; Echibition Co-Chairs Chandler Ahrens, Axel Schmitzberger and Michael Wen Sen Su.